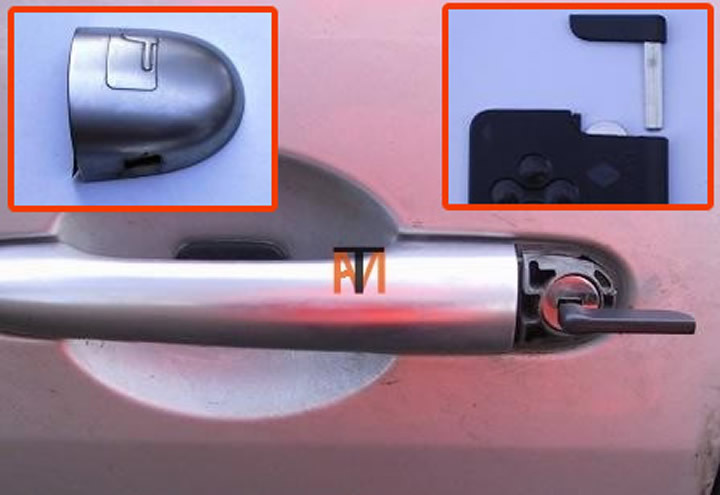 Every car must have a manual way of opening the doors if the battery has gone flat, if you can’t see a key hole, look at the door handle (normally the left side) and you will see a slot where you can insert the key (or screwdriver) to remove the plastic cover, you can now unlock the door using the emergency key, this may be hidden in the key card/fob (see picture) you can now open the bonnet to jump start the car. 5.Has the Battery got a Drain? 6.Battery Flat can't get out of Park or Garage?